Modern splendor is within reach with the incredible Toga Rope Aluminum Dining Chair. A gorgeous example of luxury meeting contemporary culture, the Toga Rope Dining Chair has a superb mix of materials in a chic style, bringing to life many different spaces with elegant integrity and culture. W 26 x D 24.5 x H 34 in. 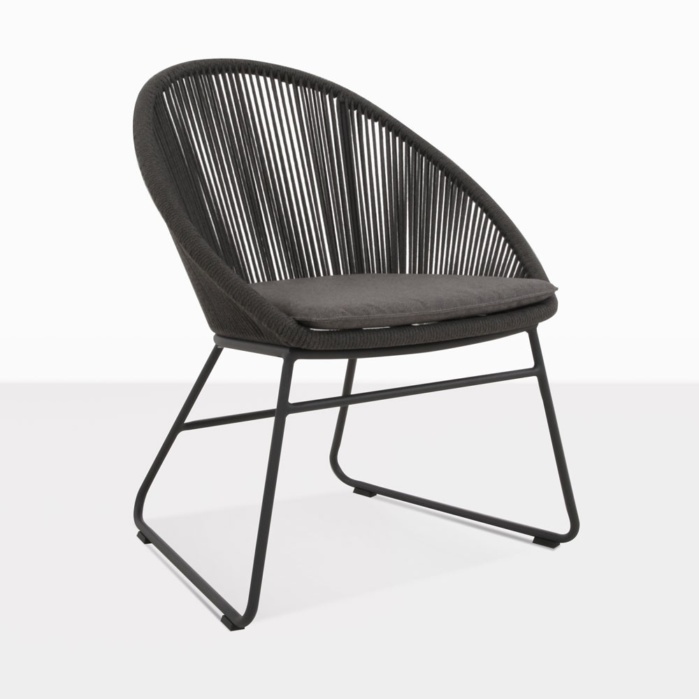 The Toga Dining Chair is built on a sleek aluminum frame with curved edges and sleigh style base, which has been powder coated in soft grey is a beautiful look for supporting the stunning outdoor rope fabric that wraps around the frame elegantly, forming a comfortable and supportive web in which to relax for hours in the great outdoors! The final flourish is, of course, in a soft Sunbrella® cushion, for added luxury, comfort and prestige. The Toga Rope Dining Chair suits many different tables. Place with a rustic reclaimed teak dining table for a rich mix of texture and refined blend of modern and traditional style. Add to one of our concrete dining tables for a chic, contemporary look you’ll adore. Factor in a grey Sunbrella® umbrella and your dining set will be finished off magnificently! You can even try out Toga indoors for a fabulous, stylish injection to your home! 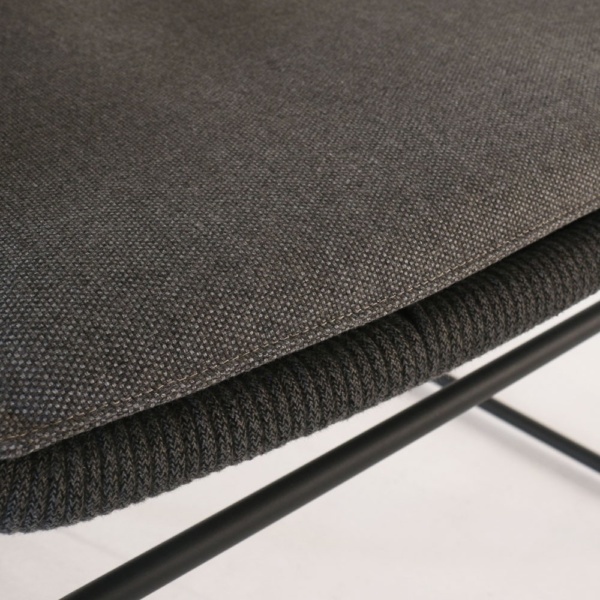 This really is a chair that packs a punch anywhere it is placed! 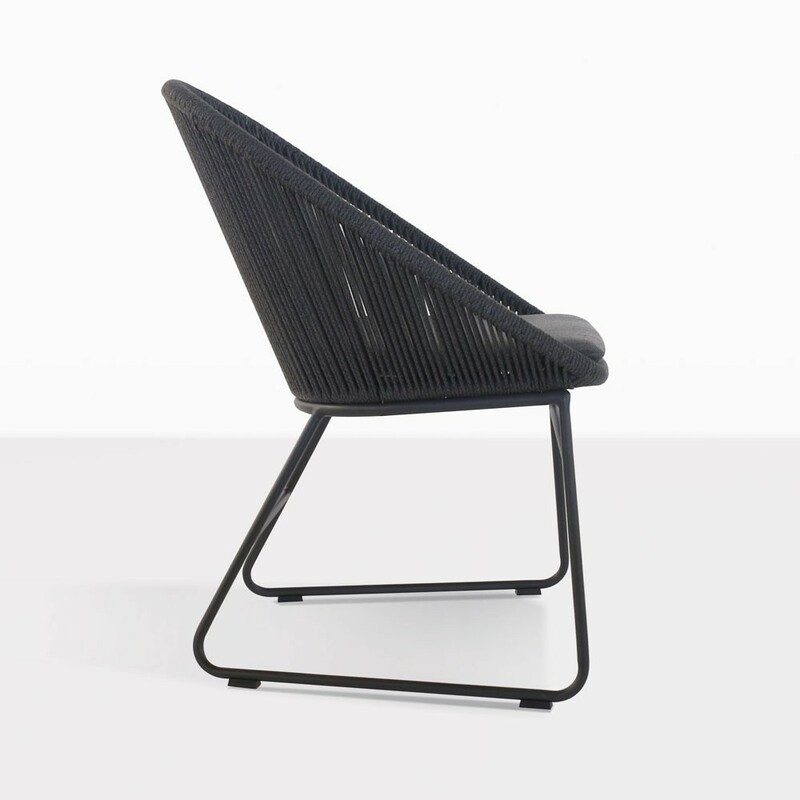 Made from the finest outdoor materials, the Toga Rope Dining Chair is built on a strong, powder coated aluminum frame, which not only looks incredible and protects your furniture from the elements. Next is UV treated outdoor rope which, wrapped in vertical lengths around the frame, gives amazing support and comfort. And the Sunbrella® cushions means that you’re in with quality products that will stand the test of time, looking and feeling amazing! 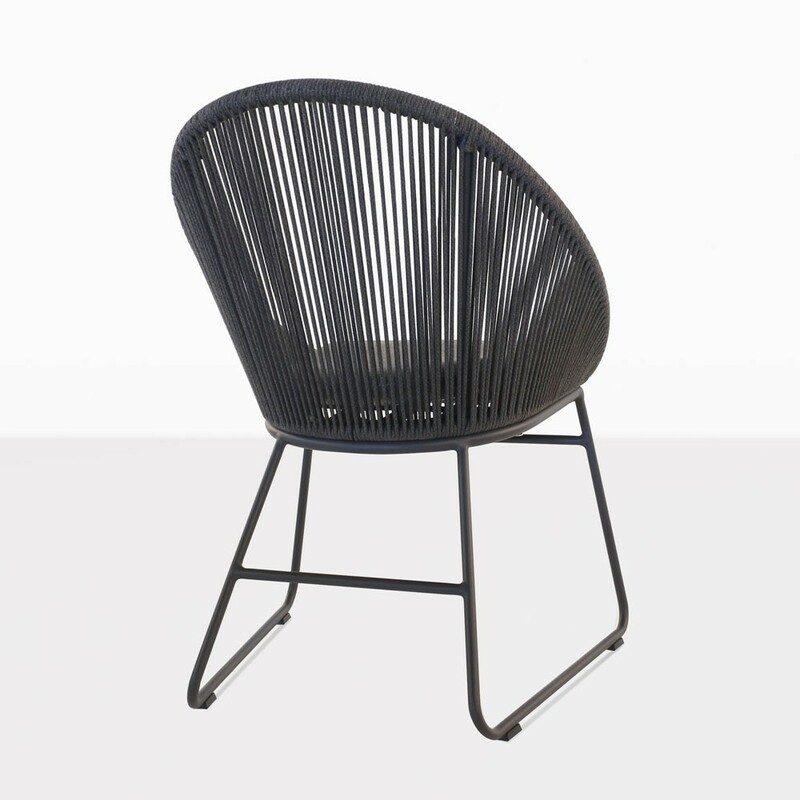 Order your Toga Rope and Aluminium Dining Chair today and see for yourself how amazing your outdoor dining area can be!